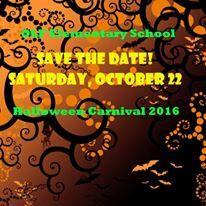 Please make plans to join us and bring your family and friends to Our Lady of Fatima Elementary School’s Halloween Carnival on Saturday, October 22nd from 11:00 am to 7:00 pm. This annual tradition is one of the biggest events of the school year. This year promises to be one of the best in school’s history as Ashley Ross, President of PTO, and her team have big plans to make this a special day for the students and their families. This year’s event will feature games, carnival rides, great food and music. We also want to thank our 40 plus sponsors that support the event. Ms. Cindy Hahn, Principal, says the Halloween Carnival is a special day for the entire Fatima community to get together and have some fun. We hope to see you there.